< "-//W3C//DTD HTML 4.01 Transitional//EN" "http://www.w3.org/TR/html4/loose.dtd"> BEDFORD LOCAL HISTORY MAG. 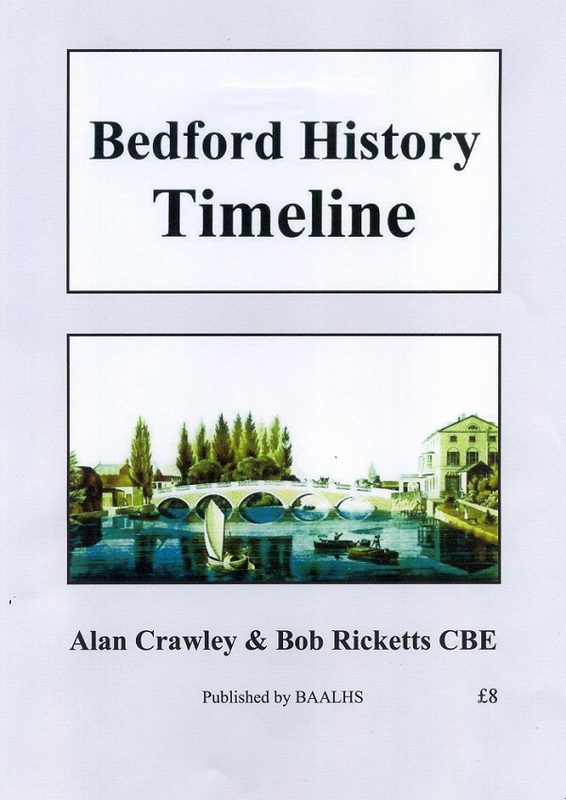 Written by Alan Crawley and Bob Ricketts and published by BAALHS, this unique volume	is an illustrated ‘timeline’ of Bedford’s history from the sixth century to 1938, covering all the major events in the town’s history. It is dedicated to the memory of Richard Wildman, renowned local historian and former President of BAALHS. The text is matched on the left-hand pages with illustrations of key events, historic buildings, etc, sourced principally from The Higgins Bedford Art Gallery & Museum, Bedfordshire Archives Service and Bedford Borough Libraries. There are introductory chapters on the origins of the town and its early churches. The volume is indexed and has suggestions for further reading, should readers want to follow-up topics of interest. This is the first book to be published by BAALHS in its 130+ year history – a cause for celebration! BAALHS will be providing free copies to its Members, every local school, Bedfordshire Archives Service and Bedford Borough Libraries. How to obtain copies of the Book. By Post, Bob Ricketts, Editor, 68 Mendip Crescent, Bedford, MK41 9EP. Please enclose cheque for £10 made payable to BAALHS (includes postage) and also a forwarding address. 103 Castle Road Bedford, MK40 3QP. (They always have a large selection of local books on display).